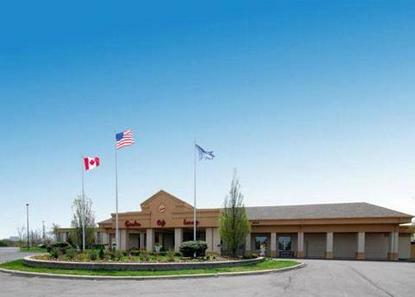 Full service upscale hotel located at Detroit Metro Airport. Garden Cafe offers breakfast, lunch, dinner and room service. Ford And GM World Headquarters within minutes. Conveniently located to Henry Ford Museum, Greenfield Village and Casinos. Park and Fly package are available. FREE high-speed wireless Internet access in all rooms. All guests checking into the hotel are required to provide a guaranteed form of payment, either valid credit card or cash. For cash payin guests, a 50.00 deposit is required.